One of the biggest challenges facing ALE operators is the requirement for an antenna system covering all HF bands. 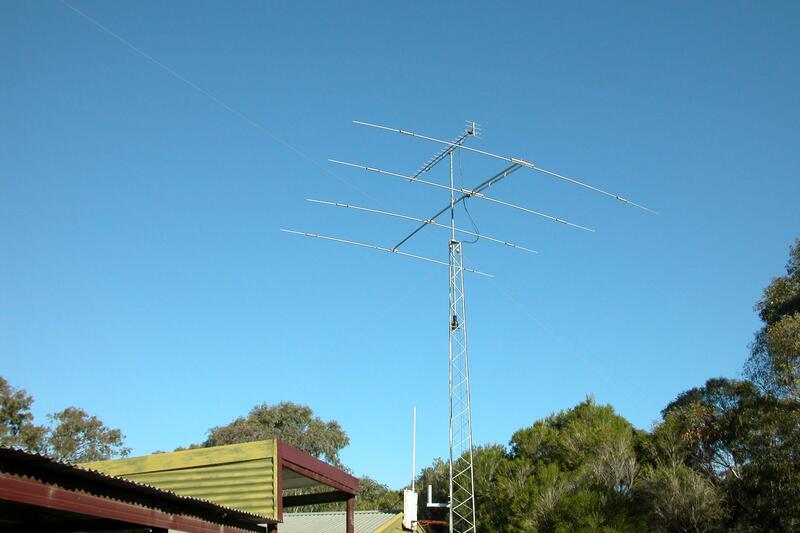 The antennae available to me at the time of joining the HFLINK project included a 4el four band Yagi antenna, an inverted Vee antenna for 7MHz and a horizontal folded dipole antenna for 3.5MHz. All of these antennae combined would not provide sufficient coverage over the required operational frequency spectrum. 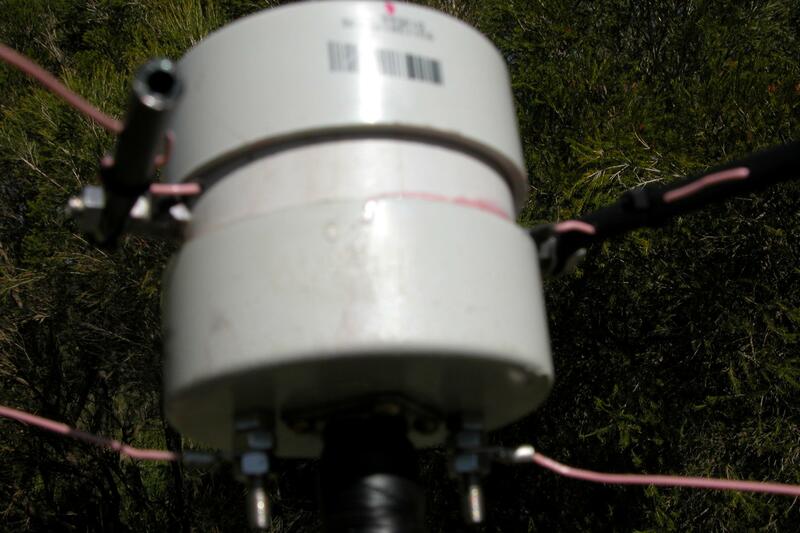 I was initially attracted to various forms of traveling wave antennae including the T2FD and Australian Dipole. Its attraction is their compact design whilst providing wide frequency coverage. These systems use loading resistors in the range of 450-900 Ohms to provide a suitable impedance match typically over a frequency spectrum of 2-30MHz. Because of this, a substantial amount of RF energy is dissipated in the loading resistor reducing the aggregate of RF energy available for radiation significantly and hence its efficiency. There had to be a better way! The result is an antenna system shown in the following diagram. 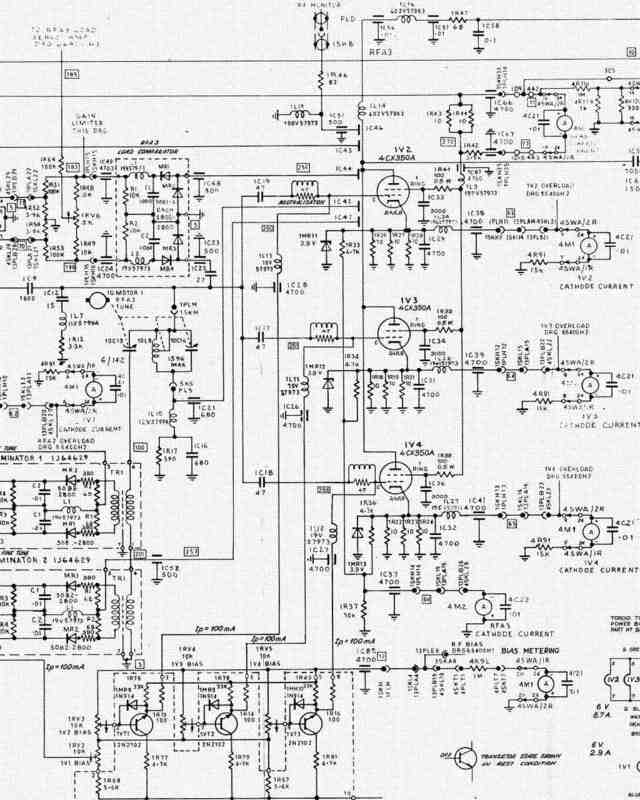 It consists of a horizontal loop tuned to the 80M band and a dipole cut for the 30M band. A loop antenna resonates on every multiple of its designed base frequency and, when tuned to around 3550KHz, can be used on most amateur radio bands except for the 30M band. 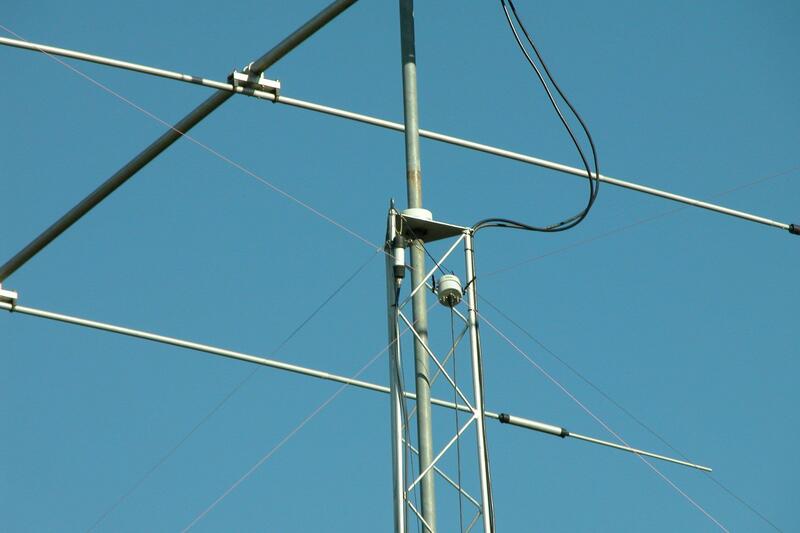 In combination with a 30M band dipole, this system provides frequency coverage for the 80M-10M HF bands. The initial length of the wire for the loop was a little over 85m to allow for tuning by cutting small length of wire until a good SWR was achieved on all bands. 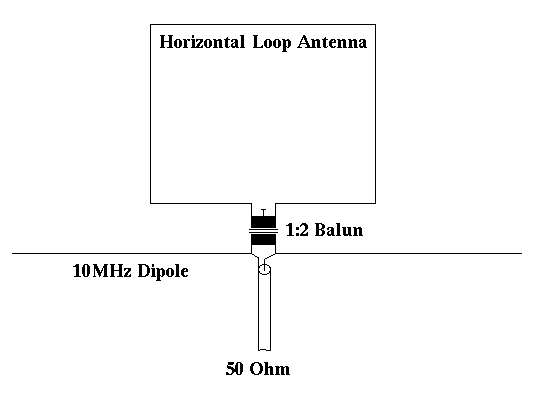 A 1:2 balun is used to match the approximately 100 Ohm impedance of a loop antenna to the 50 Ohm coaxial feed line. My antenna loop forms a triangle at about 10m above ground level feed from one of its corners. The dipole antenna with its 50 Ohm impedance is directly connected to the coaxial cable and has no influence on the tuning of the loop antenna. Its initial length was 7.6m for each leg which was trimmed until a match for 10145KHz was obtained. The dipole is suspended from the balun with each leg sloping down at an angle of about 45 degree to form an inverted Vee. An Amidon BN43-7051 binocular core ferrite was used for the construction of the balun. It has a primary winding of 2 turns and two secondary windings of 1.5 turns each. Multiple ferrite cores may be used to increase power handling of the balun. 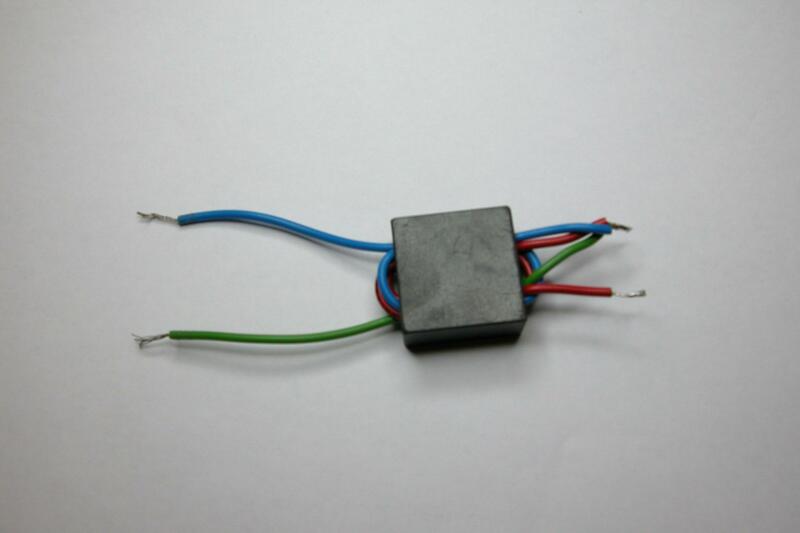 A picture of the balun is shown below. Here a picture of the fully mounted balun prior to being pulled into position on the tower. The top wires are that of the horizontal loop antenna with the dipole mounted on the studs at the bottom. Can you spot the antenna? A software simulations of this antenna system predicted a SWR of <2.0 for frequencies covering the 80M-10M amateur radio bands. It came as a pleasant surprise when in practice the SWR was better than 1.5 on all HF bands. The antenna was easy to built with the majority of parts sourced from a junk box only requiring the purchase of the binocular ferrite core, stainless steel screws, PVC pipes and end caps at a total cost of less than $20.00. The antenna is now part of the my HFLINK setup and has continued to provide excellent performance. Its size may not suit everyone but it will accommodate those who want an efficient multi-band antenna and have the required space in their backyard. A PDF version of this article is available from here"